I had heard tell of the Backyard with the Giant Water Slide for a few years now. People spoke in awe about "Jodi's Amazing BackYard..." It is a legend in our area. The class parties held there, the fun occasions enjoyed there. And now finally I got a chance to attend a party there myself. From the road, no-one would ever guess what lies at the back of the average sized house on the busy street. It's like the Tardis. A normal house hiding a stupendously fabulous secret. My friend Jodi had invited us to their house before, but somehow we'd never made it (silly us - we had no idea what we were missing). 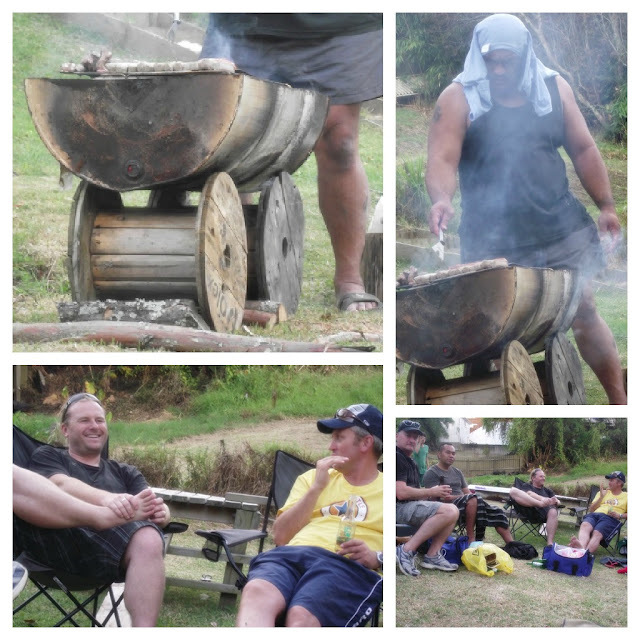 "waterslide, flying fox, music, BBQ, bonfire, fireworks, lighting and good company." Can I just say, BEST NIGHT EVER. I mean, I thought our backyard was pretty fab. I thought we do parties pretty well. But this? This is like a whole other world. There's a giant waterslide whooshing down one side of the steep section, two lanes. Better than ANY waterslide I've ever seen at ANY CAMP. (Lined with colourful heavy duty banners, for comfort and slipperyness). Not only does this backyard contain the world's best waterslide, but there's also a flying fox. An actual full-size zipping, zinging flying fox! A giant sandpit, a climbing wall, a huge playhouse, two trampolines, rope swings... the opportunities for fun are endlesss. 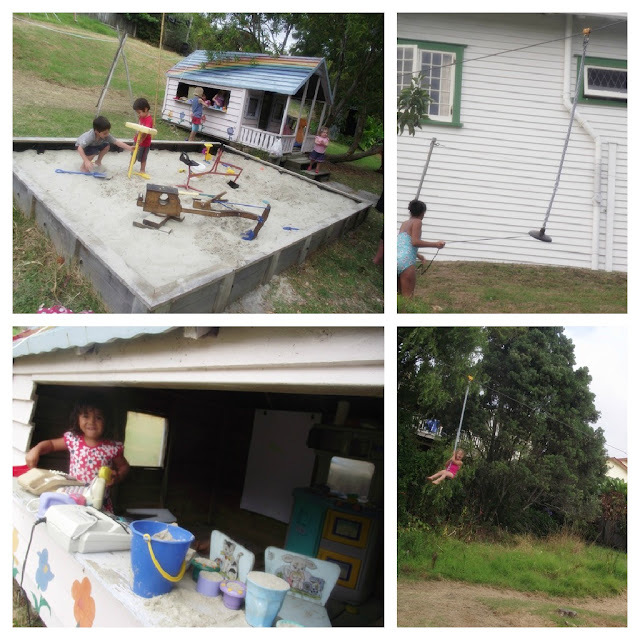 Jodi and her hubby Ben, and their neighbours (Siaosi and Hinemaia - also old friends of ours) have put their heads and backyards together and created "a vision"... a place where people can come and hang out and play and ENJOY. 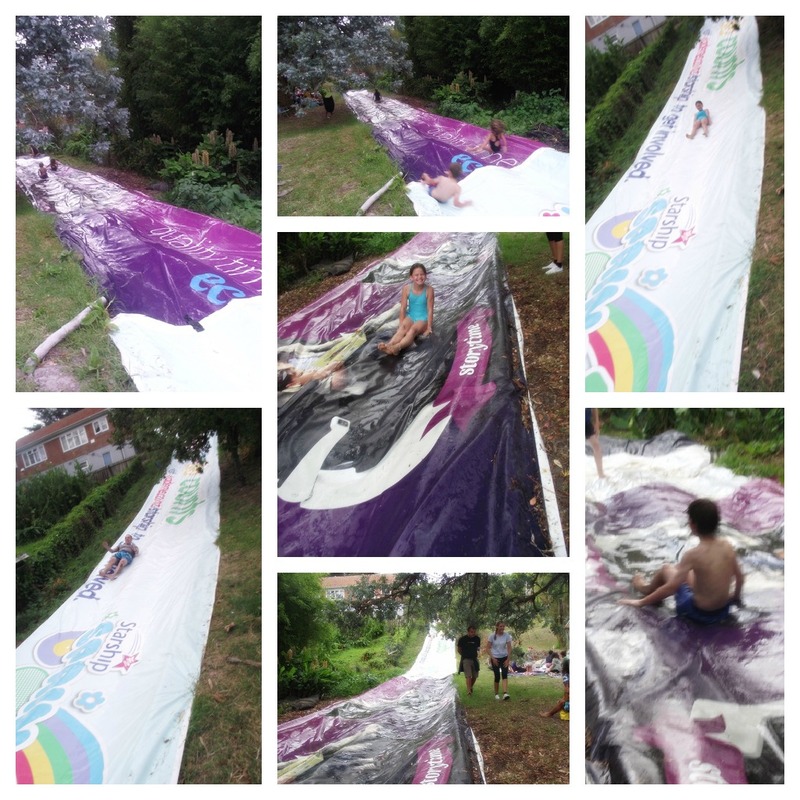 As you stagger down the path, overwhelmed by the sight of that waterslide, you hear your kids shout, "OH MAN! AMAZING!" And they're off. that's the last you see of them for a while, because there's so much to do. Up and down the waterslide they go. You make it to the bottom of the hill and there are dozens of your friends and neighbours. People you didn't even know knew each other, all here in one place. Mats are spread, along with giant beanbags; a few grownups "represent" on the waterslide; the rest of us chill while our kids go crazy in the Worlds Best Backyard. Then, another surprise. 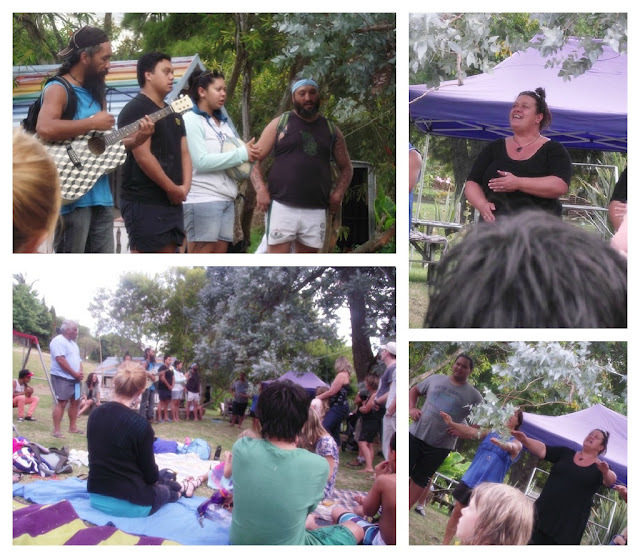 The lovely neighbour, Siaosi, stands up and begins addressing us in Maori, welcoming us all to their paradise. His wife's teachers college friends follow this up with a waiata (song), beautiful five-part harmonies and actions. Only in New Zealand. I couldn't help saying, and feeling, that we are so blessed to live here. In this country. In this city. In our suburb. Where else in the world would you find this kind of paradise, community and welcome? Who would ever imagine that 5km from the centre of the city you would find this kind of magic? 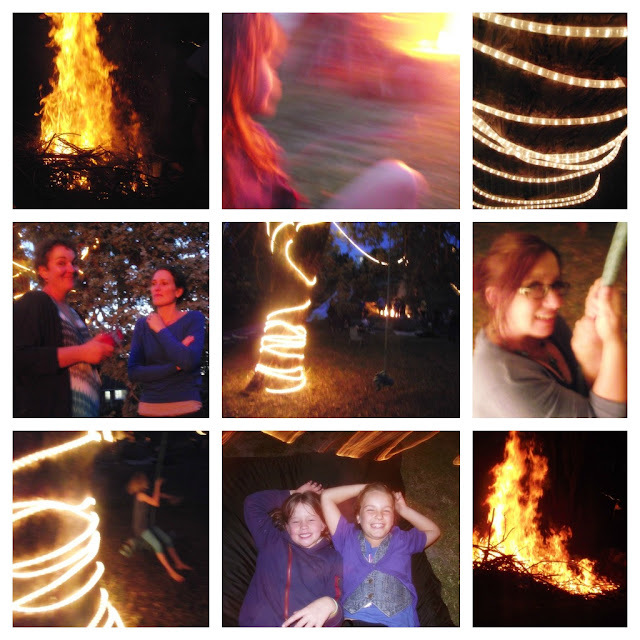 The sun set and the bonfire was lit, the lights turned on. The backyard paradise transformed into fairyland. I'm still feeling a bit overwhelmed and slightly emotional when I think about it. I LOVE the community that I'm a part of. I LOVE the people who are in my life. Thankyou Jodi, Ben, Hinemaia and Siaosi for your absolutely phenomenal hospitality, your generous vision and your warm welcome. You can bet that next time we get an invitation to a hang-out at your house we'll be moving heaven and earth to be there with bells on.